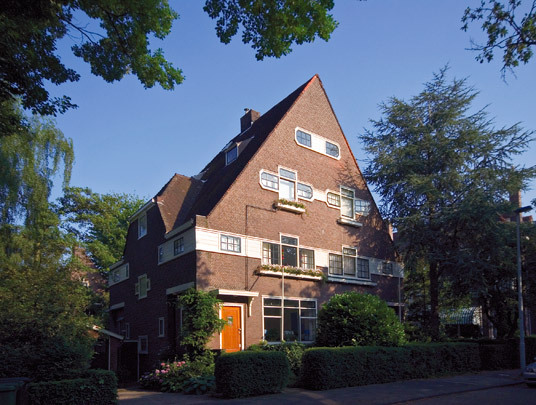 For shipping magnate Goudriaan, for whom Kromhout also built country house Ypenhof, two sets of twin houses in Essenlaan were built. One set, at nos. 36-38, has an expressively modelled symmetrical brick exterior. The other design at nos. 9-11 sports a tall pitched roof and remarkable window forms.